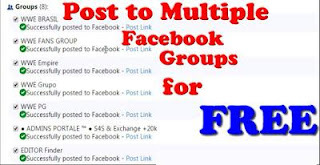 Hello guys, today i am going to share with you an awesome trick that How To Post to Multiple Facebook , Facebook multiple Page,Facebook Multiple Group, Twitter,Google+,Blogger,Tumblr, Linkedin, Pinterest, for FREE, with this simple trick you can share post to all fb groups, it's 100% free and safe. How To Post to Multiple Facebook Groups for FREE? Go to → Facebook Poster or Facebook Poster v2 or Facebook Poster v3 or Facebook Poster v4 (Working) or Facebook Poster v5 (Working). Click on Authorize then Proceed and OK.....OK. Here in this article i am going to share, how to easily convert the Blog posts/Blog/Website to a Pdf file ? So you can easily refer that Blog Post without the connection of Internet. That's all.You will get the PDF file. Get PDF file of Blog post in this Blog. Simply open the Blog post you want to Convert. 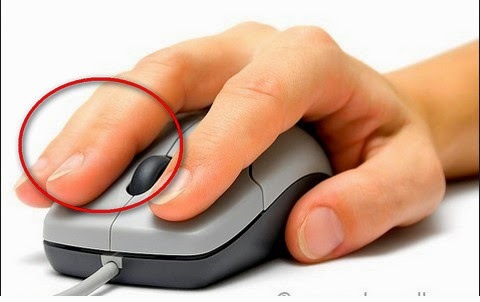 Guys,Today i share how to disable right click on Blogger blog image. To know How to redirect your Blog site to other site click the link. var clickmessage="Right click disabled on images!" 4. Now click save option. you are done. Guys,Today i am going to share how to redirect your blogger site to other site or other post in your site. Like as your blog site name is http://computeruptodate.blogspot.com instantly redirect to http://www.computerjajot.com. Also Read :-PC Shutdown and Restart Exclusive Tricks ! 5.Click Save you are done. Today in this post share Free Unlimited Web Hosting for Website. Some of my blog visitors asked to know better Free web Hosting site. The 1freehosting site give us absolutely free web hosting,no ads & free cpanel ,mostly unlimited ,Email accounts ,FTP accounts ,MySQL database ,Free Subdomains ,Parked, domain ,Website builder, cPanel ,FTP, PHP5, cURL & more..
Register Now -Click Here ..